Research before you accept a job. I feel like this is a no-brainer, but maybe I'm just more cautious than other people. Any time I am considering making a career change, I research the company that is hiring. There are plenty of ways to do this. First, I check out their social media. Generally, you can get a feel for the personality of the company just by reading their posts on Facebook, Twitter, LinkedIn and Instagram. You can also see if they're posting about non-profits or charities that they work with and determine if their core values and beliefs align with yours. Next, I'll read reviews on the company. Glassdoor, Indeed, BBB, and Google are all great ways to check reviews. If you're able to, see if you can talk to current employees. When I first took the job as the Sales and Marketing Coordinator here, I already had a good friend working at Global Transport. I was able to ask him questions about work/life balance, the work environment itself, and if there were any areas that he thought needed to be improved. When we're hiring agents here, we give them the opportunity to speak to any of our other freight broker agents in any of our locations. 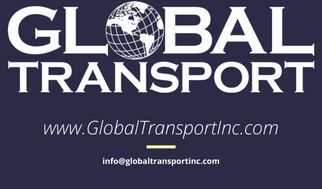 Global Transport is big on transparency and we feel that having a genuine one-on-one conversation with real people will give you a better feel for determining if this company is a right fit for you. Check the company's website. Is it updated often? Is there content that you can relate to? Is there background information about the company? Lastly, I am a list maker. I personally never bring an actual list of questions with me to my first interview, but if you have to, there's nothing wrong with that. I will list all of the questions that I want to ask and memorize them before an interview. If I have the opportunity to ask the big questions over the phone before an interview, I'll take advantage of that opportunity because there's no sense in wasting my time or the interviewer's time if I'm not happy with the answers given. Tiffany Zupka, Sales and Marketing Coordinator for Global Transport, Inc.